The Latest in Celebrity News, Red Carpet Moments, Viral Videos and Breaking Celeb Rumors! 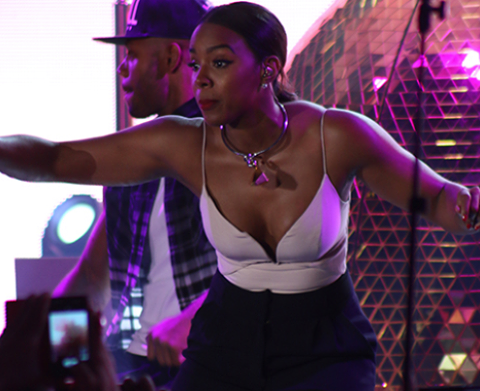 : Watch: Kelly Rowland Performs Post Baby For The First Time In Manila! Watch: Kelly Rowland Performs Post Baby For The First Time In Manila! She is back! Motivation singer Kelly Rowland performed in Manila at the Concert of Dreams Concert in Manila after giving birth to a baby boy last year. The singer pumped the crowds with a vocal performance of her 2002 hit Dilemma. Read more to watch the video! Go Go Go Ms Kelly!